How many applications have you completed that asked about salary or wage at previous jobs? Or, maybe I should frame the question, how many applications have NOT asked you this question? Several applications ask job candidates to disclose their salary at prior places of employment as a means to understand what their expectations may be and what may be a good starting salary for the candidate. However, this soon may be a question you’ll need to be cautious asking job candidates. 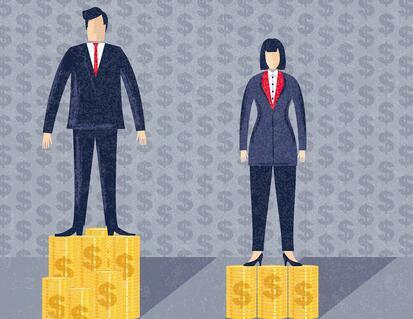 In a landmark decision, Massachusetts recently passed a pay equity law. This law requires employers to pay men and women equally for comparable work. They define “comparable work” as work situations that require substantially similar skill, effort, and responsibility and work that is performed under similar conditions. This ruling makes it very clear that it is unlawful to discriminate by providing genders different wages. There are a few caveats, though. In particular, employers can offer different pay if it’s based on a bona fide seniority system, merit system, or system that rewards production goals as well as if it’s based on geographic location, education, or experience levels. In the absence of these circumstances, if an employer violates this, they would be liable to pay the amount of the employee’s unpaid wages to the affected employee. What makes this law unique? This piece of the ruling is not really new. What makes this law unique is that employers will not be allowed to ask job candidates about their salary history as part of the screening process or during an interview. Employers will have to wait until a formal offer is extended to ask about salary history. The final piece of the law is that it allows employees to openly discuss their salaries without retaliation from their employer. The overall goal of this law is to strive for a more equal playing field between men and women. Essentially, the law is attempting to reduce the gender gap. Proponents of the law suggest that disclosing salary or wage information can potentially harm the earnings outlook of women because they tend to earn less than men. Providing an employer a lower benchmark during initial discussions may bias them towards providing a lower starting salary. The gender gap has been brought into public attention by several well-known individuals in the media. Back in March of this year, five members of the US Women's national soccer team filed a wage-discrimination charge alleging that players on the women's national team earned almost one-fourth what their male counterparts did, despite the women's team making more money. Additionally, other celebrities have used their status to speak out about the gender pay disparity, including Jennifer Lawrence, Emma Watson, Amanda Seyfried, and others. Overall, the government reports that women earn an average of about 79 cents for every dollar a man earns. This gap narrows when comparing the salaries and wages of workers with the same job title working at similar companies and with similar education and experience levels. However, the gap still exists. While this law will not go into effect until July 2018 and only applies to Massachusetts, it reinforces the idea that we need to think several steps ahead to ensure that discrimination is not occurring. Human Resources needs to be mindful how seemingly innocent questions could negatively impact future hires. This reinforces their responsibility to behave in a legally fair manner. They need to make sure that everyone interacting with candidates understand what can and cannot be asked throughout the hiring process.